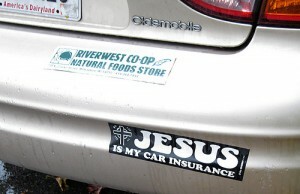 Over recent years your car insurance has probably gone up in price. While the cost of car leasing might be falling, the running costs of your car – including fuel, road tax and insurance – have risen sharply. While the cost of car insurance may be starting to fall after years of high prices, it can still cost hundreds to insure your vehicle – especially if you’re young. According to the latest figures from the Confused.com Car Insurance Price Index, the average comprehensive car insurance policy now costs £644. Third party, fire and theft cover fell in price by 7.5 per cent in the year to January 2014 and, on average, a year’s cover now costs £1053. And, it can be cheaper for young drivers to take a comprehensive policy rather than third party cover. Recent analysis in the Daily Telegraph showed that an 18 year old driving a Ford Fiesta choosing third party only cover was quoted £1,524 a year more for their insurance (more than double the cost) than if they had opted for a fully comprehensive policy. Whether you drive your car using a car leasing or contract hire agreement, telematics insurance works by fitting your car with a small device – commonly known as a ‘black box’. This device records speed patterns and the distance that you drive as well as the type of roads you are using, and when. And, it can monitor braking and cornering to build up a picture of your driving style. The insurer can then tailor the cost of your insurance to your driving. For example, if you drive at peak hours every day your insurance is likely to be higher. Similarly, if you drive at high speeds, your premium is likely to be more expensive. The aim of the ‘black box’ is to provide you with a fairer price for your insurance based on your actual driving ability and patterns, rather than a set of average, generic statistics. Often it is young drivers that benefit from cost savings when installing a ‘black box’ although other motorists can also save money. If you are a careful driver who doesn’t cover many miles, and drives predominantly during off-peak hours, then you could see a reduction in the price of your insurance using this type of policy. New research from the British Insurance Brokers’ Association (BIBA) has found that there has been a sharp upturn in the number of drivers buying a telematics insurance policy. Black box based motor insurance sales have increased by 116,000 since June 2012, equivalent to a 61 per cent rise. BIBA says that the behaviour based policies can offer savings on motor insurance of around 25 per cent and some young drivers can save up to £1,000. This entry was posted in Advice and Guides, News and Views, Reports and Surveys and tagged black box, car insurance, car insurance companies, Car insurance premiums, telematics by David Petherick. Bookmark the permalink.